From the early days, we always knew what we wanted to create in SYMG. We sought to create a business where we took people into the beautiful wilderness of the High Sierra and gave people a lasting memory of an incredible trip; a trip where the food was fantastic, the guide became a friend, and the scenery refreshed the soul. I remember being on every trip in those days, proud to fulfill this dream. People planning their trips with me today often ask whether I am going to be their guide. I wish I could say yes to everyone. To stand in the mountains with good friends has always been one of my greatest joys. So when you call, I just may be the one who answers the phone, and though I may not be your guide, I'm here to help get you there. I do hope you will make plans to join us soon. "I'm convinced that one of SYMG's major goals is to help maintain the quality of wilderness and provide high quality wilderness experiences for your customers." An international legend and Yosemite climbing pioneer, Doug is one the countries first Certified Rock and Alpine Guides of the American Mountain Guides Association (AMGA) and served as the Association's first president. Doug was dubbed "The father of Clean Climbing," by Climbing Magazine for his 1973 first clean ascent of the NW Face of Half Dome, which was chronicled in National Geographic, June 1974. The climb changed the face of the sport as we know it today. After 45 years, Doug has amassed dozens of first ascents on ice, rock, and alpine terrain. Doug cut his teeth on Yosemite granite during the Valley's Golden Age in the sixties, a time when all the climbers in Yosemite could fit around one campfire. Doug made the first ascent on Dark Star on Temple Crag, the longest alpine rock climb in the Sierra. As well, his first ice ascents of the V-Notch and Lee Vining Icefall with Yvon Chouinard, the founder of Patagonia, and his first ascent of Ice Nine, the hardest alpine ice climb in California all still stand as Sierra classics. His second ascent of Ama Dablam (22,495') in Nepal, 1979, was filmed for ABC Sports. 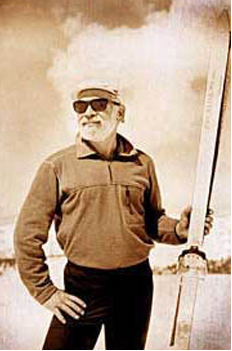 His love of Ski Mountaineering led to the first continuous ski traverse on the John Muir Trail, 250 miles, in 1970 as well as the first telemark ski descent of Mt. Rainier 1980. When not climbing or skiing Doug is writing. "John Muir meets Jack Kerouac"-is how William Broyles, Jr. (who wrote the screenplays for Apollo 13 and Cast Away), summed up Doug's book, "A Night on the Ground, A Day in the Open" (1996). Doug is still leading first ascents in the Sierra and we look forward to having you come and join us for a unique adventure with one of the world's mountaineering legends. 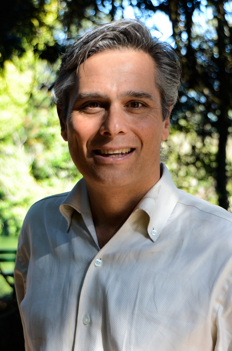 Doug lives in Aptos, CA with his wife Kristen and two children Tory, 10 and Kyra 8. 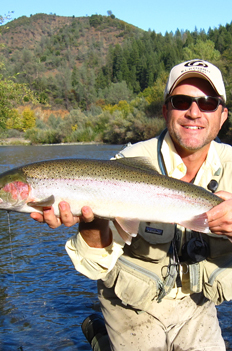 As the General Manager of SYMG, Graham brings diverse experiences from many corners of the outdoor industry globe. 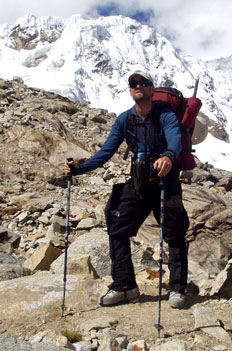 With his guiding career, he has also filled operational and management roles for several leading adventure based companies in North America and South America. His love of travel and adventure is infectious and immediately evident as he assists SYMG guests in creating their perfect journey into the mountains he calls home. Graham began his career at SYMG as a backpacking guide and continues to lead select trips each season. He found his niche specializing as expedition leader for departures such as the Yosemite Grand Traverse, and the Red Peak Pass Loop. 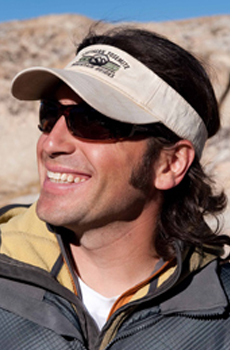 He enjoys leading the team of knowledgable guides at SYMG's basecamp in Oakhurst, California. Each year he designs and facilitates SYMG's guide training course before the guiding seasons kicks into high gear. The ability to strike a balance between the adventurous and relaxing aspects of mountain travel continues to earn Graham praise as both a trip leader and planner. He is equally at home on technical peak ascents as he is lazing in wildflower-strewn mountain meadows. In addition to his many mountaineering accreditations, Graham enjoys pursuing his interests in Natural History and Ecology. 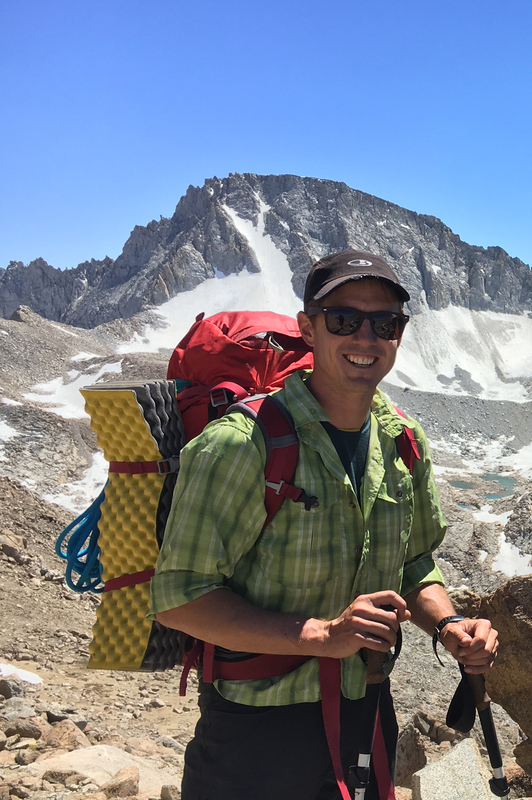 His undergrad degree is in Outdoor Education and Environmental Studies and has been known to pause for flora and fauna identification in the middle of 14,000' peak ascents! Graham is currently working towards reaching the summit of all of California's 14'ers and is about halfway there! In the summer of 1983, my eyes opened to the southern Yosemite area.When I was younger, I had hiked, fished & camped with my family in Yosemite and many other national parks, but it was that visit to southern Yosemite in 1983, as a young adult that was to guide my career and lifestyle. I love what I do; today, and just as I did the day I wrote the SYMG mission statement in 1991. The mission statement reads, "SYMG is devoted to creating and operating the highest quality adventure travel trips available while at the same time providing a place of employment based upon shared dreams, fulfilling work, community, and a lifestyle of living and working where each's passion for wilderness adventure is also one's work." On this page you'll see the perspectives of each of the our directors, and how what we all believe relates to our companies mission. On the Featured Guides page, you can read about some of our guides, what wilderness and guiding means to them, and what experiences have brought them here. All of the words, thoughts, memories, experiences and goals touch upon one thing; one thread that runs through all of us at SYMG. We love the mountains. and we find great joy in sharing the mountains with others. 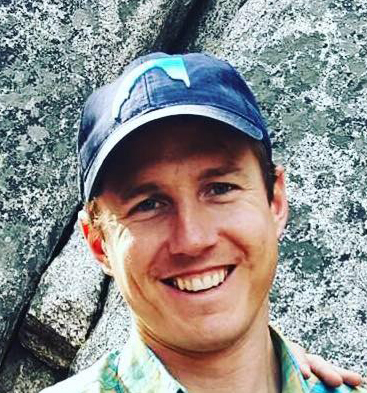 Mike has recently retired from SYMG and the guiding industry but continues his mountain lifestyle as the owner of The HUB Mountain House in McCall, Idaho. I can still remember the day that SYMG was formed. We signed a napkin, had a drink, and toasted the passion and desires that years in the mountains had nurtured within us. And so it is nearly 2 decades later, each of us in different places in life, but similar to the tributaries of a mountain stream, we flow together in what we call Southern Yosemite Mountain Guides. None of us could have predicted our good fortune or our paths as we struggled through the early years of tight living quarters and eating quesadillas three times a day. I miss those early years because life was so much simpler to me then. My life consisted of throwing on a backpack for ten days at a time and sharing the most beautiful mountain range on earth with truly wonderful people. I can still see the smiles, feel the high fives, and remember the glow on faces around the fire. Life altering experiences are etched deep in my soul as I now wake up and sit at a desk on more days than I care to admit. I take comfort in knowing that my favorite spot with the waterfall coming out of the lake is still going to be there. Sometimes when I really need a good memory, I close my eyes and remember a friend and client sitting in an open meadow, butterflies fluttering around, and tears streaming down his cheek. I remember him saying to me, "I am crying because I didn't think today could be more beautiful than yesterday. The Sierra Nevada is the greatest gift I have given to myself." I have to agree and I think you will too. Though now residing in San Francisco, Dan currently is one of the founders of the re-made historic Evergreen Lodge in Western Yosemite. Albert was a great man. He was loved by so many people (and animals). He was always very genuine and looked out for others. Albert started at SYMG as a seasonal guide intern and worked his way up to a full time year round position as our General Manager. Albert was a great listener, great climber and a real professional. Albert always volunteered to cook, clean, organize and help other's get their jobs done when they needed a little extra help. Albert also mentored the new guides and was instrumental in our successful internship program. Beyond the business relationship, Albert was a great friend and I could always count on him. He was close to my family: Julia, my wife, as well as Olivia, 11 and Anna, 8. He also was close to his family and always spoke fondly of them. Professional Climbing Guides Institute's first president and helped create the standards used today to insure that aspiring guides have safe, affordable training. In addition to working hard Albert also played hard. On his days off he was always found climbing throughout the West and seeing live music, two of his favorite things to do. In the off-season, he was always traveling internationally to climb. Thailand was his favorite. I miss Albert a lot and there hasn't been a day that I haven't thought of him. I know I speak for everyone around here, when I say, "we miss you man!"